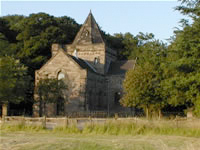 St Thomas’, Butterton is a beautiful church in the village of Butterton, just outside Newcastle-under-Lyme. It is part of St Giles’ parish, and is deeply connected with that church. There is a friendly and welcoming community who worship every Sunday. Come and visit us! 10.30am Holy Communion from the Book of Common Prayer. Traditional service with hymns and sermon. 10.30am Modern Holy Communion Service. A more modern service with hymns and sermon. 10.30am Informal Worship. A relaxed and modern service, which is child-friendly.